Going to movie theaters in Japan is one thing that is not so different from the western world. Except when you sit in the middle seats. It’s a trap, which I fell into. 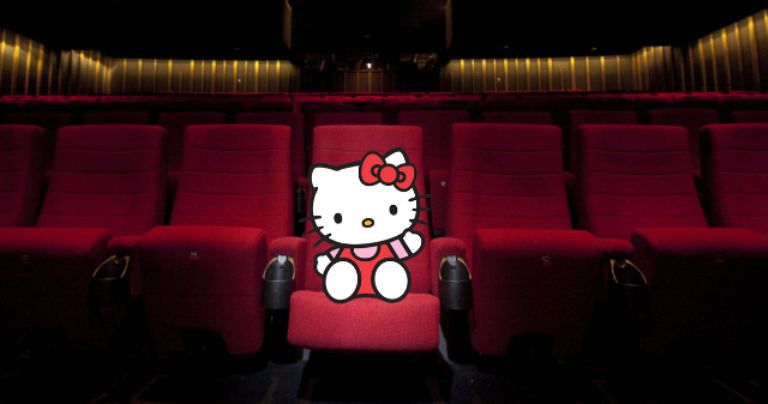 Read along to find out why you should never sit in the middle seats in a Japanese cinema hall. I am not a movie buff but I don’t miss out on the fun either. However, since I moved to Hokkaido I never went to see any movie. The cultural change was overwhelming and I felt like Alice in wonderland. Only after six months, I felt the need to hit the movie theater. I planned to go to see “Hobbit: The battle of five armies”. Going to movies in Japan is pretty straight forward only thing you need to be careful about is; to make sure the movie is 字幕 (Jimaku, which means subtitled). A 字幕 movie has original dialogues with Japanese subtitles so you can just ignore the subtitles and enjoy the movie. The theater staff was very polite and asked me where I would like to sit. Now, I am very particular about where I sit, my preferred choice is always the middle seats of the third row from the top. I took those seats without being aware of what awaits for me. As we entered the theater it looked exactly similar to the many other movie theaters I had seen previously. The movie started on time after some funny Japanese advertisements. The movie itself was all right, although I felt Peter Jackson is bored of making middle earth movies and he just wanted to get it over with this. The five armies were not so much of armies per se. One army was made up of the fishermen from the Laketown. Then the Eagles, I mean seriously c`mon The Eagles again! Eagles are the solution to every problem in the middle earth. The movie ended with Gandalf visiting Bilbo, maybe he finally got the point about how useful eagles are and used one to fly into Shire. Roll credits…At this moment I was ready to get up, head home, while discussing the movie with my partner. However, not a soul was moving in the theater, everyone was sitting and watching the credits as if the movie is in its climax moments. We felt the people are enjoying the music with sketch portraits of the characters shown on screen. But, after a few minutes, that also stopped and still no one moved. Finally, after about 5 minutes a couple of people sitting on the edges left. Our hopes drowned as no one else got up until the screen finally went black. Stuck in the middle we were forced to sit through the 15 odd minutes of credits, which felt longer than eternity. I don`t know if this is a common scene in Japan, and I am not willing to find out. Never again, I am sitting in the middle seats in Japan. I am going for the aisle seats and scooting off when the movie ends. Has this ever happened with you?. What are your thoughts about it? Share with me below. Ha ha ha, I have been to watch movies at Japanese theatres and that actually suits me, as I do watch the credits, ostentatiously to listen to the nice music the composer generously creates for you, but also to see if the film makers put something at after the credits roll. So, in my case, I don’t mind. So this happens everywhere in Japan, thanks for telling me that. I too enjoy the music but my patience runs thin after a couple of minutes, specially if I had a large drink during the movie. Do they put something after credit roll? I have never seen anything. This happened to me in Sapporo. For an experience I went to see some anime movie – I had no idea what was going on as there were no subtitles so I dozed off a few times. However, I will never forget the middle seat trap. I got myself ready to leave as the movie came to an end, but, once the credits started rolling not a single person made a noise or got up to leave (the cinema was full by the way). Everyone politely watched all of the credits and only started to shuffle out of the cinema until the lights came on. Still no chatter. It was such a great experience and felt honoured to be a part of it. I would never have imaged that people could be so respectful to people they don’t know and will probably never meet.